I decided a while back that I would downsize my space and replace my 4x4 Expedit with a 2x4. I dislike clutter, and also wanted to be sure that I keep my scrapbook supplies to an amount reasonable for me. Also, reducing the size of my bookcase meant that I could rearrange my shared space and face a wall that has a window on it. Hooray for sunlight! I still need a new chair, just need to pick one out. The lower left cube is all of my 12"x12" paper, a couple Studio Calico kits, and kits I put together for future projects. I dumped all of my sequins into larger containers, one for transparent and one for opaque. My stamps are in a Sn@p! album, within quick reach to help me use them more often. I bought the Antonius plastic insert to store my Project Life cards, memorabilia, notes, and photos. Behind that is a container that has all of my paper embellishments, alphabets, and stickers. I also bought a larger Sterilite storage drawer unit which houses the rest of my supplies aside from my paper trimmer. Now that I am used to the changes, I am really pleased with my consolidation. I haven't stopped buying products, I mean that's just crazy talk! I am just more productive with a small stash, and I try to use up items shortly after buying them. If it's looking like I won't use a product, no matter how cute, I am happy to pass it along to a new home. Is your space a happy scrap place or would you like to make changes? love your space! i work better with less stuff too!! What a great little workspace. Love getting organized..it's always such a great feeling. I love being organized and you seem to have nailed it here. I see some happy scrappy in your future! Your little space looks so nice and organized! I have to say that I wouldn't mind downsizing a little as well. I like my space, but am trying to get rid of things I don't really use. Congrats on your organizing. I find I actually scrap better when I have fewer supplies, go figure. Enjoy your new space. Looks good! I recently reorganized and am more productive too! I didn't downsize though...but I actually don't have too much (when compared to others). I have been scrapping for 16 years and can fill a room but it would not be overcrowded. Looks like a wonderful set up. 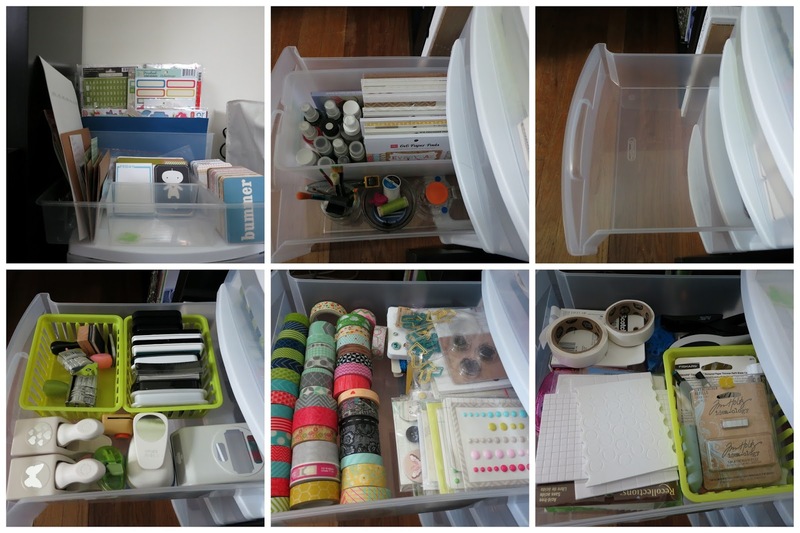 So organized and I can see how you can be so productive and creative with no clutter. I sometimes wish I had a smaller stash…but I have trouble parting with my supplies. I do have a donate bag I add supplies to if I don't think I will use them…I think I am getting better in this area though.